Do you believe in monsters? If you found out monsters were real, would you be scared? What if you found out they were right under your feet this whole time? These are the questions Marrow asks alongside Green’s (who plays himself) piqued interests when he and his cameraman, William Barratt, are contacted by supposed former Boston detective, William Dekker (Ray Wise), who claims to have seen real monsters…and knows exactly where they live. Even more interesting, is his claim to their origins. Right off the bat, I’ll say you’re either going to really enjoy Digging Up The Marrow or you’re going to put it back on the shelf with the rest of the “one-time watches”. The film had some great points to it; the sarcastic humor from Green, the jump scares that actually made me jump (and maybe shriek a little bit), the plethora of awesome horror cameos/Ray Wise, and of course the monsters. There were some fun surprises and twists throughout the film, but there is one potential plot line that I feel was left unanswered/unexplored (no spoilers, just watch and see). My biggest complaint? The LACK of monsters actually on screen. We were shown picture after picture (artists renditions) of these supposed monsters Dekker had seen but when it came down to go time, we were only shown maybe 4 or 5 of them in action. And even then the shots were so quick you barely had time to really process what you just saw. That was the biggest bumout of the film for me. And maybe a little bit of the fact that things didn’t start getting juicy until the 70 min mark, but that’s neither here nor there. The script wasn’t exactly top notch, but I suppose when you’re going for realism, scripted lines aren’t too focused on. For what it is, Digging Up The Marrow had some great potential to be the next badass monster flick- a truly original project with some awesome looking creatures. I also think it became another victim of throwing all the good stuff in the trailer. Sadly, for me, it left me more deflated and unsatisfied than I had hoped. DIGGING UP THE MARROW is directed by Adam Green. 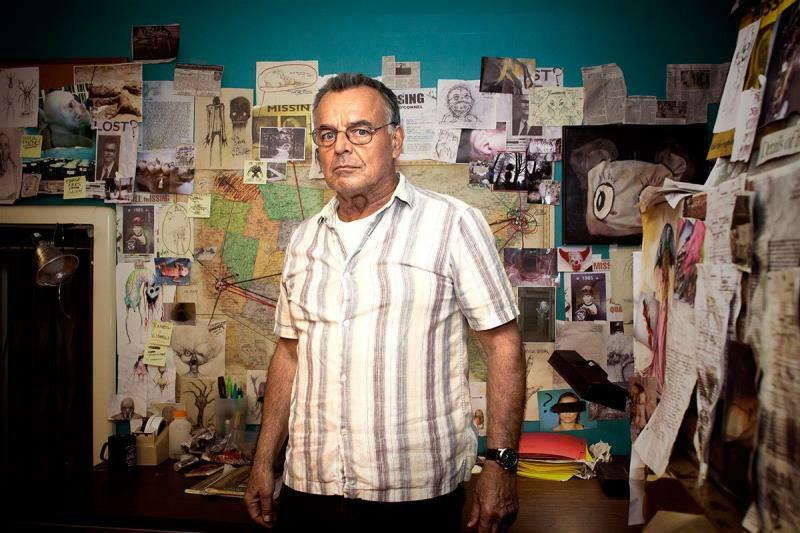 It stars Adam Green, Ray Wise, Will Barratt and Alex Pardee. It is now available on VOD and Itunes courtesy of Image Entertainment.